Your organization and its people are in a constant state of change, this doesn’t mean that connecting your team should be a headache. 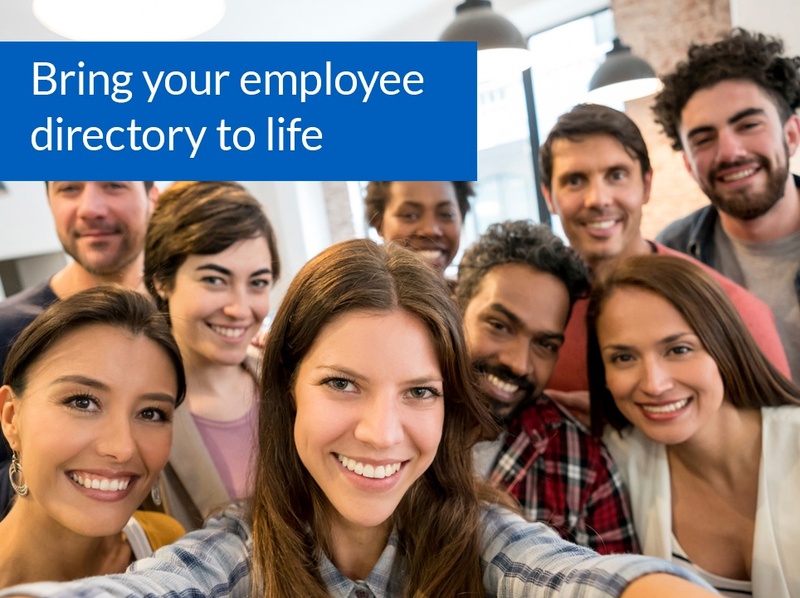 Our Live Directory brings together employee information into an easy to search experience in Office 365. The directory works in conjunction with our Hyperbot, ensuring your employee information is always accurate. The Live Directory searches over employee profiles – directly from the information’s source, not from an out of date search index. Changes in your directory are immediately reflected and searchable by everyone. The Live Directory is supported by your Hyperfish service, ensuring that employee information is consistently complete and up-to-date. Through our Integration Framework, you can connect all your systems where employee information lives, including your HRIS. The directory allows employees to find the right person or expertise, regardless of where the information is stored. 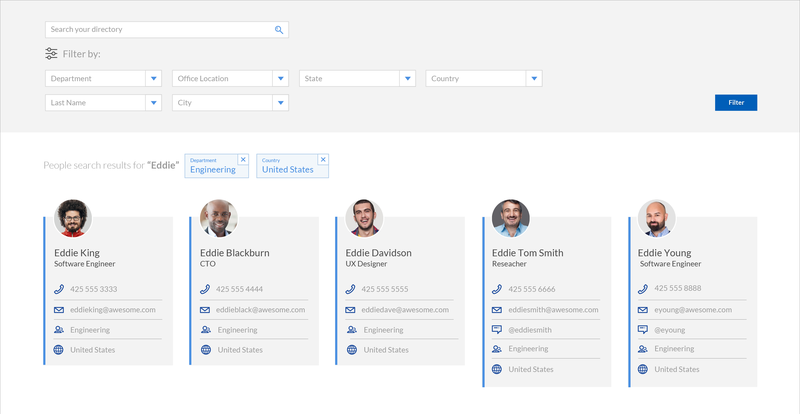 Our Live Directory allows employees to apply multiple filters, to quickly find exactly who they need. 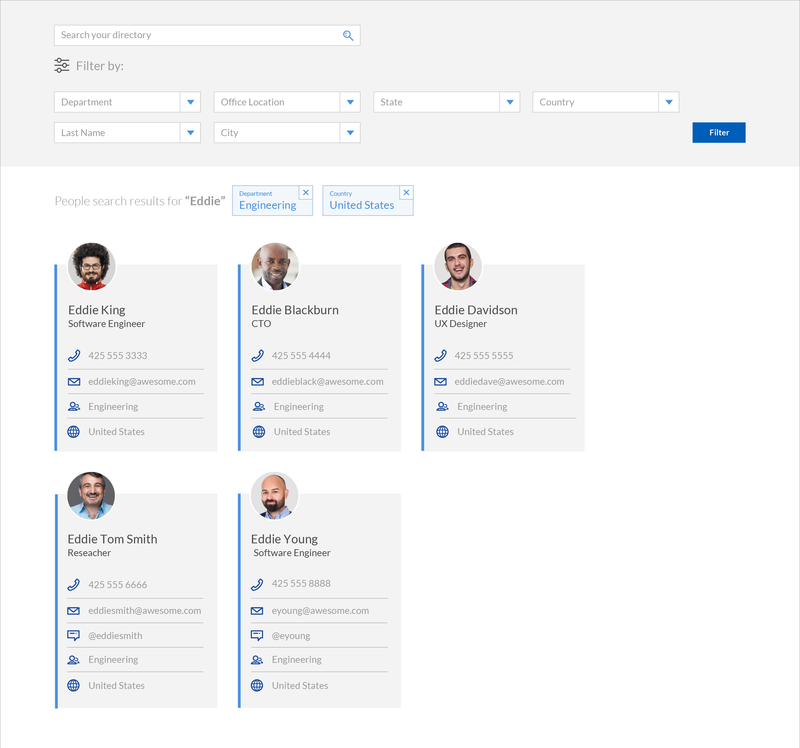 The employee profile cards can be configured by you to display the most important information, right where people want it. 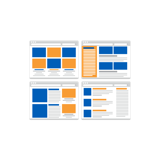 You can choose how and where the directory appears within your intranet and page layout, creating a seamless user experience. The web part inherits your selected styles (CSS), ensuring the color and fonts match your established intranet style.